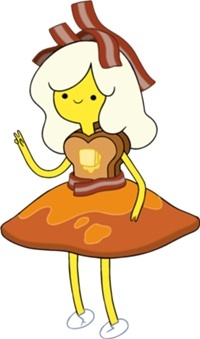 Adventure Time Breakfast Princess Costume « Adafruit Industries – Makers, hackers, artists, designers and engineers! 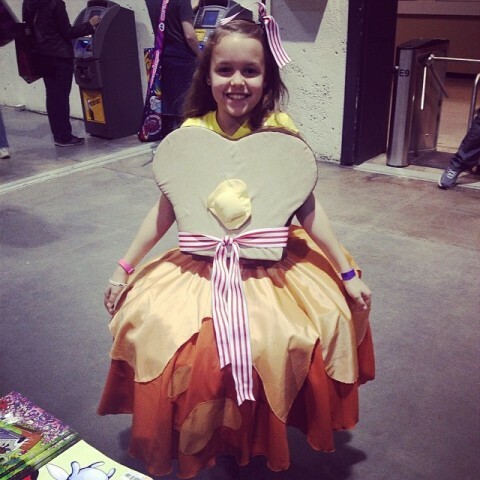 It was pretty simple to make, circle skirt over a tutu that I added a wire to for structure. I took the wire out of a pop-up hamper. The toasts (2, front and back) are 2″ foam that I made pillow covers for out of a polyester suede. I safety pinned them to a tank top so she can remove and keep them as pillows.